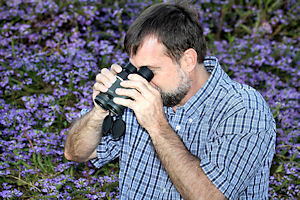 This raises a question: what makes a great butterflying binocular? Generally, there are a few characteristics that matter in a good butterflying binocular. The first of these is minimum close focus: the shortest distance at which you can get a sharp, full-field image. So how does the MeoPro 6.5x32 rank here? Well, we measured its minimum close focus at almost exactly 3 feet! That’s a full, sharp image with no field collapse (blacked-out of part of the visual field) and excellent image quality. The MeoPro performs superbly on this property. And just in passing, the 6.5x MeoPro has a huge 433-foot field of view at 1000 yards, so pretty much everything is always in view! 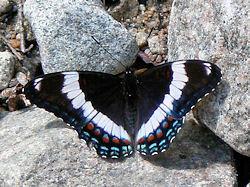 The second important characteristic of a great butterflying binocular is size and weight. 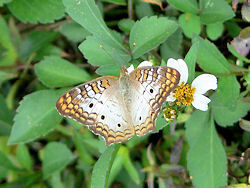 When butterflying, often the most important tool is a high-quality DSLR camera with a decent-sized zoom lens. Those cameras are big, heavy and a trifle unwieldy. What that means is that the less other gear you’re carrying, clanking around with the camera, the better. The Meopta 6.5x32 MeoPro is very compact: even with the eyecups all the way out, it’s less than 5.75 inches long, and even with the hinge fully spread, it’s only 4.7 inches wide. And it weighs just 24 oz. (including rainguard and objective lens covers). This means it’s not much of a burden to carry, but not so light that you can’t hold it steady. The third important property of a great butterflying binocular is image quality. There’s no point in getting a lightweight, compact optic with great close-focus capability if the image looks like you’re viewing the world through a plastic bottle! Never fear: the 6.5x MeoPro performs like a star here too. The images are bright, sharp, and detail-rich - just what you need when trying to distinguish the underwing patterns of a perched Blues or Skippers. 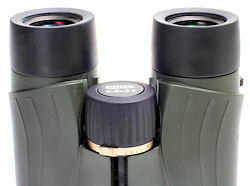 These binoculars are fully multi-coated on all air/glass interfaces to eliminate glare and improve light transmission. We don’t normally spend much time discussing the accessories of a binocular, but in this case, there is one worthy of mention. We’re not talking rainguard, tethered objective lens caps, carrying case or neck strap – all those come with the binocular as part of the cost. But Meopta was one of the first optics companies to produce a device designed to allow you to take pictures through your binocular with your iPhone. It’s called the MeoPix iScoping Adapter, and basically, it’s a plastic device that fits snugly over one eyecup, and lets you use the digital camera in your iPhone 4, 4S or 5 to take pictures. We haven’t tried it ourselves, but we’ve seen results that others have achieved, and they’re impressive. That’s it. That’s pretty much the Need to Know details about this optic for butterflying. Which brings us to the Want to Know stuff. We’ll do those as FAQs. Are they waterproof? Yes, they’re fully sealed and nitrogen-purged, so they’re waterproof and internally fog proof. They also have Meopta’s proprietary MeoShield™ coating to help them shed dust better and make them easier to clean. Are they durable? Yes, they’re coated in dark olive green rubber armoring that improves the grip and protects against shocks in the field. Will they work if you wear glasses? Yes, these little MeoPros have 22 mm of eye relief, enough to accommodate the thickest lenses, and the 3-position eyecups guarantee a comfortable interval for those who don’t wear glasses. Are they too small to fit my face? Actually, owing to their hinge design, the MeoPros have an unusually large interpupillary distance range of 55-77 mm, meaning they will fit almost anyone’s face. Do they focus easily? Well, they go from minimum close focus to infinity in a zippy 1.3 turns of a focus knob with easy, smooth action, so we say ‘Yes’ to that one. Do they come in a pink version to show solidarity with cancer patients? You’re kidding, right? Well, actually, we are, but no, we don’t think they do. Okay, we have just enough time for one more question here. You there in front… How much do they cost? Someone always asks that question. People are SOooo materialistic. (Okay, we’re kidding again here. Good question.) 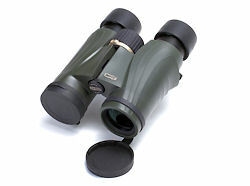 The Meopta 6.5x32 MeoPro binoculars sell for a MAP (minimum advertised) price of just $299.99. So you’re getting excellent optical quality, superb portability, great ergonomics – everything you could want in a butterflying binocular for $300. Our operators are standing by for your call (at least until quitting time). Maybe we’ll finally start seeing more Meopta binoculars used here in the U.S. 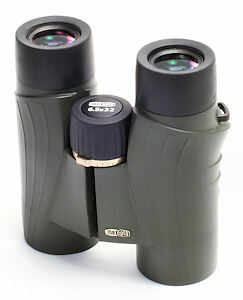 The Meopta 6.5x32 MeoPro binoculars have been discontinued. They have been replaced with the MeoPro 8x32 HD Binoculars which feature ED (Extra-low Dispersion) glass and a close focus of 5.6 feet. The 8x32 HDs sell for $429.95, but the vast improvement in image quality make them worth the price. A review of the HD series is in the works. Watch for the link on the main reviews page.